A Silly for Saturday #2….. 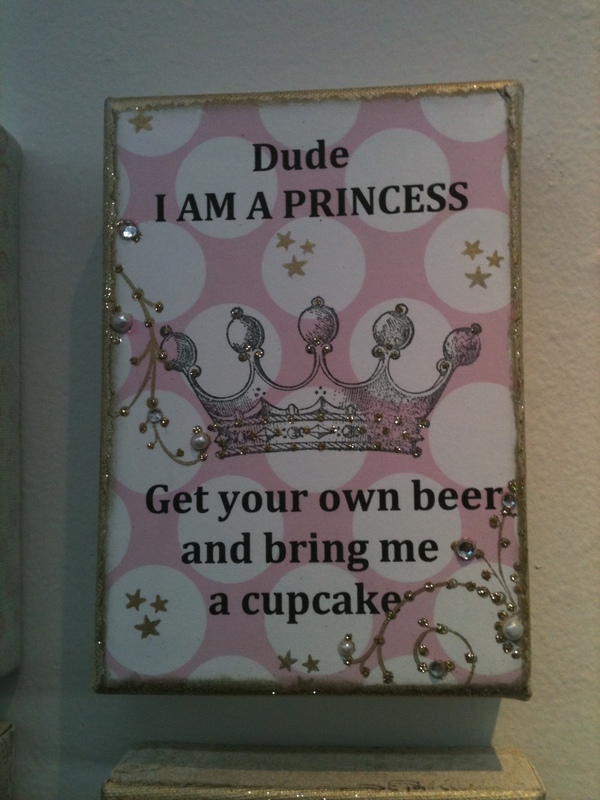 This REALLY tickled me…I may be royalty because I am a child of God…but I don’t think this would go over well with hubby! Oh yes…if I had my way…. It’s said that cupcakes are “God’s apology for muffins”. Unfortunately, medically, my cupcake days are over…that is unless someone has a really good recipe for gluten free, grain free, sugar free, dairy free cupcakes! (goodbye desserts, pastas, cheeses, homemade breads, grits, gravies, Captain Crunch, and pizza, etc…sigh, sigh, sigh and a tear or two) It’s said when life hands you a lemon, make lemonade…and I agree with Mr. Clark. Why not find a bit of humor in the tough stuff? I still love cupcakes..a lot…but now I really love baking them for others. And the wackier and more colorful the better. Cupcakes really DO make people smile…and that is so much sweeter than any double chocolate, swirled icing, marshmallow creme filled cupcake. Oh sister, I’m laughing and crying over this good stuff!! Frank Clark is a genius, seriously (or amusingly)!! 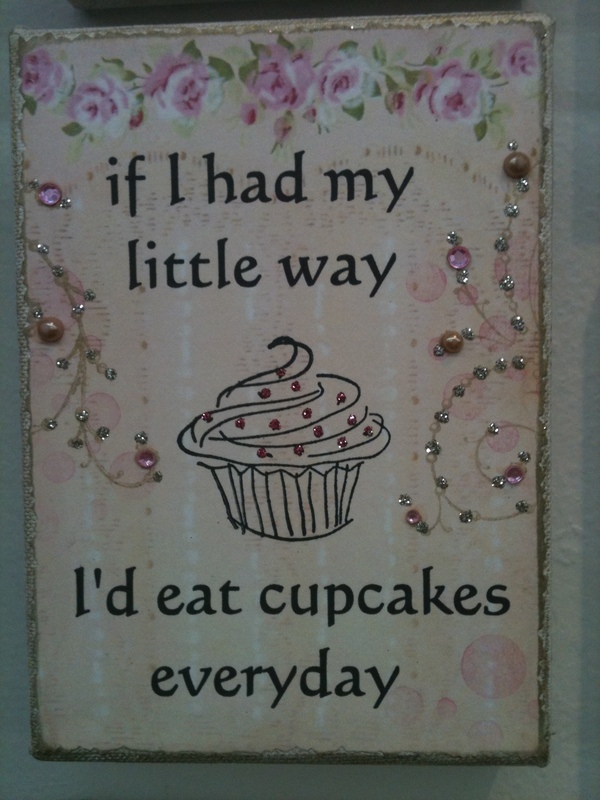 You can live without cupcakes–and aren’t you the sweet little saint, making them for others–I can relate to that. But no gravy, pasta, cheese, pizza? Oh no–that’s not good. At all. I’m in mourning for you. Guess I’ll have to really think what I can make for you, to serve at my next awards ceremony……hmmm. God bless you, and thanks for the great silliness–it’s right up my alley!! Oh I saw these cupcakes that looked like they had grass for frosting and then a little football on top! Now, I was trying to fool myself into getting them for my hubby, but seriously I knew he might never see them . They’d all end up in me! I love the humor today . . .and you as you bake goodies you can’t have for others. Now, that’s a real friend! God bless you and keep you and give you lots to laugh about! Their real good to look at and good to eat. Their clean if you wash your utensiles before cooking them. Their uplifting, Wow I feel great after eating them. Their good to share, others love them too. They teach you Truth…if we eat too many we become slugish, so we need a balance in everything. I saw something cute about cupcakes that said if you like off the frosting, the cupcake becomes a muffin–and muffins are healthy, right? So no guilt eating it, right? Silly Saturdays, indeed! Humour gets us through many a rough spot, that is for sure. Thank you for your gift of humour here.